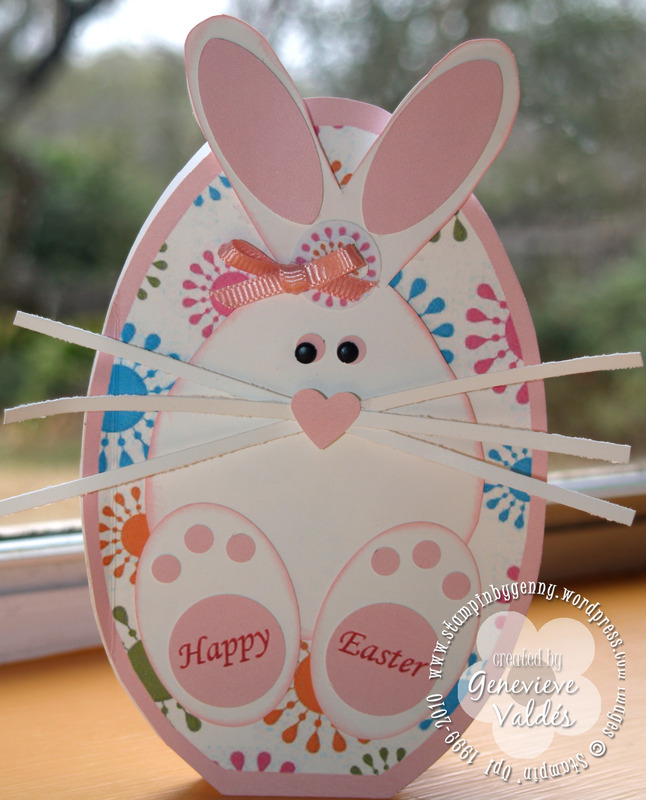 Today I wanted to share this cute bunny card I created. I CASED it from Sandi MacIver’s blog. She’s a very talented designer. Go over to her blog and check out her other projects. I created the background and bunny foot pads on My Digital Studio. I love this software! I am going to make several of these cards to mail. Won’t the recipients get a kick when they get a bunny out of the envelope! I sponged the bunny head and feet with Pretty in Pink classic ink #101301. The cute little nose is the small heart punch (117193) found in the mini Occasions catalog. Inside of ears are the small oval punch #107304. The feet are made from the SU Wide Oval punch, #112082. You really need this punch because it fits so many of SU’s sentiments also. The bottom pad is the 1 inch circle punch, #109046 and the little toes are just the regular everyday hole punch. I got the “Happy Easter” on each foot by using the text tool and changed the text color to Real Red. This was all done in My Digital Studio #118108. Then printed it out on Pretty in Pink background. I left enough room between each word so I could punch each out with my 1″ circle punch. The whiskers are a scrap of Whisper White run through the cutter, slicing 3 skinny pieces. Tape these to the back of the nose, fanned them out a bit, then added a dimensional. The eyes are black brads, #109109 with Pretty in Pink circles from a regular hole punch. The templates for this project appear on two entries on Sandi’s blog so for simplicity I have consolidated them here. 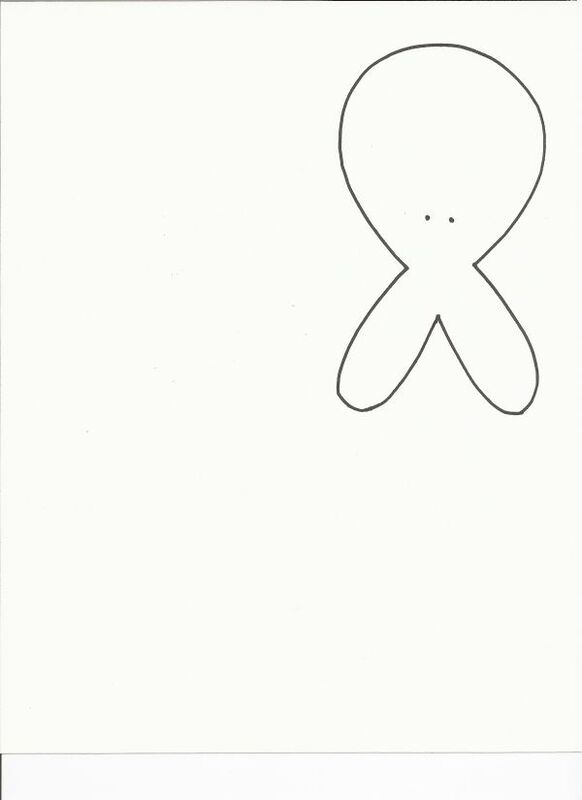 Click here for bunny head template. Sandi’s tip: When you print out the bunny head, the measurements should be; 3 inches across from the cheek to cheek, and from her chin to the V in her ears, 4 inches. Click here for egg templates. 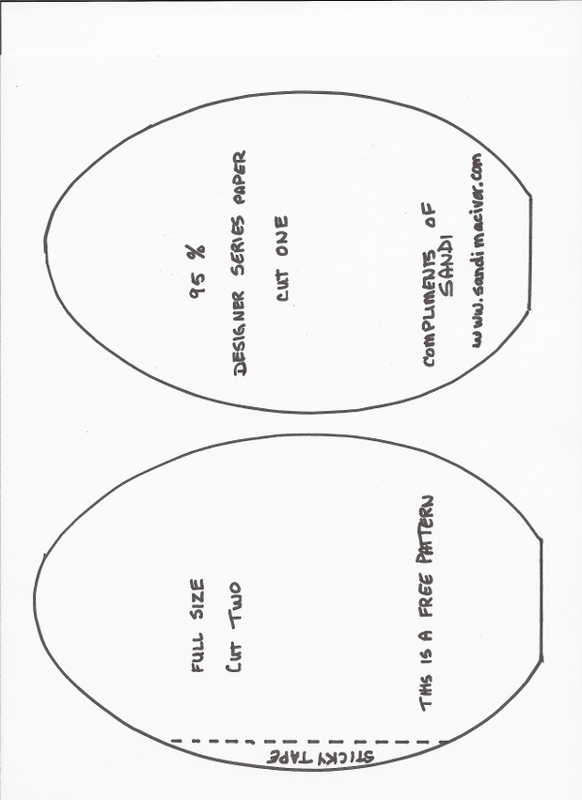 Sandi’s tip: When you print off the egg, the large one on the left should be 7 1/4 inches long. That measurements matches the bunny head. Of course, if you want it smaller, than reduce both templates by the same amount. Paper: Whisper White cardstock, Pretty in Pink and print #3 from Sunny Day backgrounds printed from My Digital Studio. Seriously-so cute! I am so intimidated to print from MDS for some reason. Now I have a motivation to dive in. Adorable project!